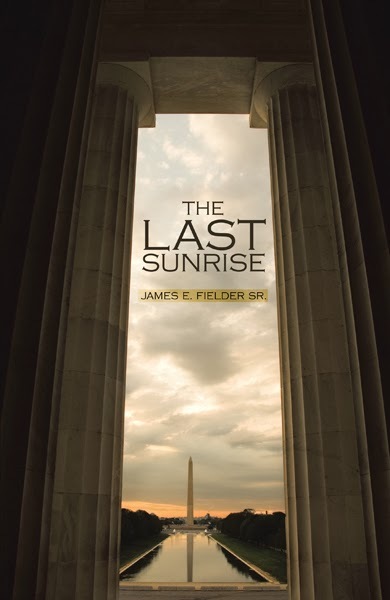 Author: James E. Fielder Sr.
Washington DC: President Wilson Riordan, former career Air Force officer, businessman, and senator, discovers hints of an international plot that could upend the current fragile balance of government alliances throughout the world. Cheyenne Mountain: Major General Jock McReynolds, commanding general of the Strategic Air Command and former commanding officer of Colonel Wilson Riordan, notices hints in the behavior of foreign military units, air traffic patterns, and naval sorties that are red flags to his highly developed military gut instinct. Springfield, Missouri: Jared Faraday, southwest Missouri multi-millionaire businessman with a political-trends hobby bordering on obsession, is very concerned about what he is seeing on the news and the Internet, so much so that he warns his family and friends. “The Last Sunrise” is a possible future. The elements are already in place. James E. Fielder Sr., a highway designer and home builder born and raised in Springfield MO, was an avid reader of science fiction who enjoyed projecting “possible futures” and engaging in lively conversations about many topics such as the space program, politics, future trends, and the afterlife. He was a motorcyclist, a bowler, and very concerned about the future of the planet. He passed on in February 2010 in Colorado Springs, Colorado where he lived in the shadow of Cheyenne Mountain. He leaves behind his wife Virginia, sister Norma, daughter Denise, sons Jim Jr. and Ed, and several grandkids and great grandkids. This is his first book.